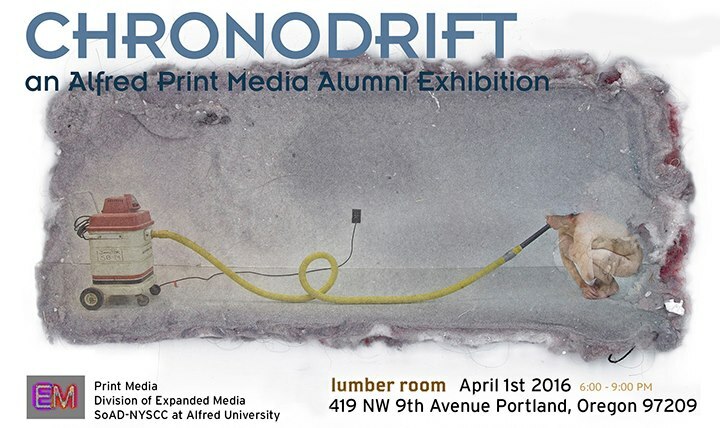 EXPANDED MEDIA: Chronodrift: An Alfred Print Media Alumni Exhibition in Portland Oregon! 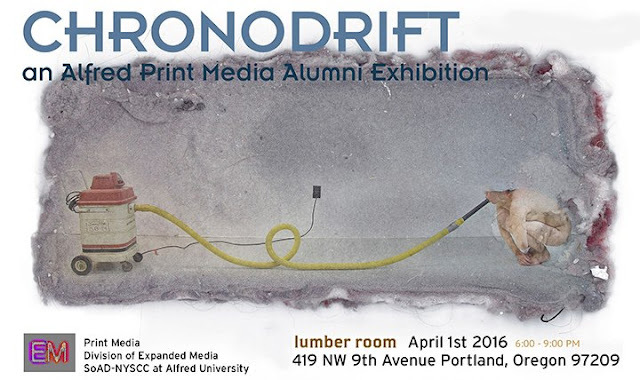 Chronodrift: An Alfred Print Media Alumni Exhibition in Portland Oregon! Please join faculty members Joseph Scheer, William Contino and Myles Calvert, where their work and the work of over 60 alumni and 12 current students will be on display. Enjoy the opportunity to mingle with other Alfred alumni, parents and friends while you experience some of the best print media in the country. Complimentary hors d'oeuvres and beverages will be available. Please RSVP by March 28 online or by calling our Office of Alumni Engagement at 607.871.2144. Our Newly Acquired Etching Presses Home at Last! 100 Rescued Stones for SoAD Print Shop!